2 slaapkamers en 2 badkamers, voor 4 personen comfortabel. Onze prachtige strand-front Mexicaanse appartement heeft alle voorzieningen voor uw Los Cabos vakantie. Een spectaculair uitzicht op de oceaan kunt u walvissen zien vanaf onze 36 voet lange terras. Luxueus uitgerust met alle faciliteiten van een volledig uitgeruste keuken, wasplaats, VS en Canadese satelliet HD-TV, gloednieuwe comfortabele tuinmeubilair en 2 ruime slaapkamers en twee badkamers. Master BR heeft een kingsize bed, en de gast BR heeft 2 tweepersoonsbedden. Comfortabele lederen woonkamer meubels en Sony 40 inch HD-TV met de Amerikaanse en Canadese Satelliet. Gasten slaapkamer heeft tweede Sony 32 inch HD-TV. Gebouwd in roestvrij staal barbecue en een bar koelkast op groot terras. El Zalate heeft 3 zwembaden en een hot tub. 2 grote restaurant bars op 5 minuten loopafstand. 10 minuten rijden van het centrum van de traditionele San Jose del Cabo, 20 minuten van Cabo San Lucas. Dichtbij golf en restaurants. Rustige familiale sfeer in dit unieke, volledig eigendom (geen tijd aandelen) ontwikkeling. Golfen Paradise: Elke dag is een perfecte dag voor golfen tijdens uw verblijf in onze El Zalate condo. Er zijn 7 golfbanen binnen 20 minuten van ons appartement. U kunt golfen op 10 minuten afstand van de mooie 9 holes Maya Plaza (voorheen de Campo de Golf municipale) cursus, die is geschikt voor golfers van alle niveaus. Of daag uzelf op de wereldberoemde One and Only Palmilla, op 10 minuten rijden, waar u kunt kiezen uit de zee, de bergen of Arroyo cursussen (27 holes in alle.) Er zijn tal van andere opties, die elk meer spectaculair dan de vorige. Vraag ons eigendom managers, Gail en Larry, voor up-to-date golfen informatie. San Jose is as busy As you want to make it. Lots of amazing restaurants close by for all budgets and palets. If you like to cook the local markets have amazing fresh produce seafood, Chickens and complement that with 4 nearby grocery store so to shop for just about any ingredient you desire. Renting a car for a day trip to do some side trips is super easy and lots of notes in condo to give you hints of trips you might enjoy. It's been our great pleasure to host you over the past several years in our El Zalate condo. You have become more than valued clients, you've become true friends. We very much appreciate how you take care of our Mexican home and even add great restaurants and other fun ideas to our guest book binder. We appreciate your patience with some unanticipated noise this winter when the condo above us sold and the new owners brought in new furniture and made some emergency repairs. We look forward to your next visit. El Zalate was impeccable, clean pools and charming garden were well maintained. Arthur was attentive, kind, diplomatic and very accommodating. The unit was bright , cozy, with nice comfortable beds, with convienant outdoor bbq and fridge making cooking diner a breeze. We loved the view, and checking the surf. Also a great cable system and new cinema style TV. US And local land lines were accessible. Everyone we meet at el zalate has always been kind and respectable. Safe and solid security. Great little Gym. We look forward to our next visit. Awesome condo with spectacular view of the Sea of Cortez. This was our first time in San Jose Del Cabo, and this condo did not disappoint. Everything was as described. The pictures from the balcony do not do the view justice. Very quiet and relaxing. Wonderful place for a family or couples. We decided we wanted to extend our stay for 5 extra days, and the owner, Arthur, was very easy to deal with making that happen. Some days you could see rays jumping out of the water. The pools and beach are just steps away. I would highly recommend to anyone. Thank you for the great review. We're glad you guys had such a good visit, with lots of sunny and warm weather. We appreciate your understanding when the building's electricity was turned off for several hours for equipment maintenance, and are glad you were able to extend your visit. We look forward to hosting you again in the future. Great location, great complex, exceptional view. Bueno bueno bueno. Thanks Jeff for the positive review! We're so glad that you and your family were able to stay with us. We look forward to hosting you again in the future. Great property and unit. 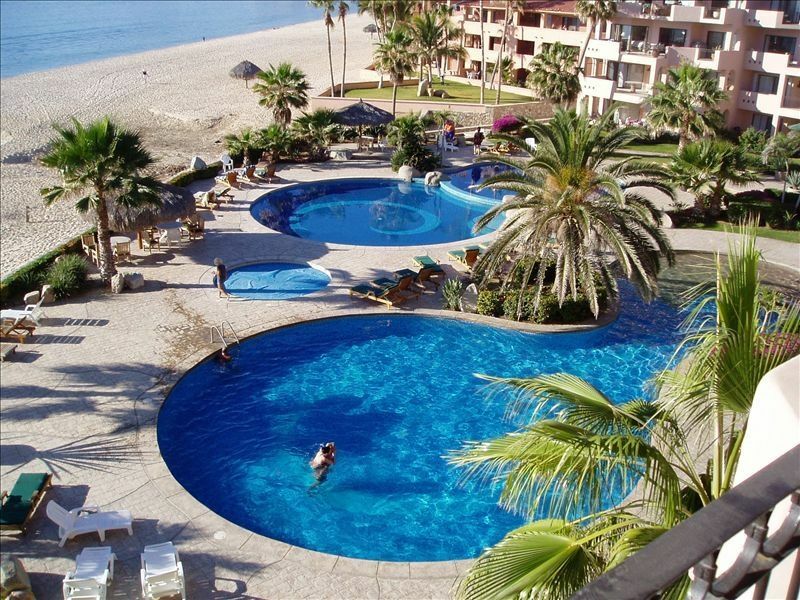 El Zalate is a quiet complex with a very nice pool and great beach access. Good for couples and quiet families. Plenty of beach to walk for hours. Arthur is great to deal with and the unit is clean and spacious. We spent most of our time on the spacious balcony which has an awesome view. The staff and grounds are all excellent. Enjoy your stay. I'm glad your family enjoyed your stay in our vacation home in Los Cabos. We do try hard to ensure everything is perfect for our guests and appreciate the feedback. We know it was busier than usual for the first few days as it was spring break, and El Zalate attracts a lot of families. It was a pleasure hosting you and we look forward to doing so again in the future. And good luck in the playoffs to your Flames! Everything is here, as this condo has everything to make your stay perfect. You will live on the patio enjoying endless sunshine and its spectacular views, Their guest book is full of local recommendations to help you enjoy your stay. El Zalate has a very friendly atmosphere. The pool has lots of seating to enjoy the pool. Can't wait till next year! Ty and Cheryl, thank you for the lovely review. We appreciate your feedback, and always look forward to having you as our guests. Additional $25/night for Christmas week, Easter week, & Spring Break. Discounts offered for stays of over 1 week. Please phone us for monthly rates & 'last minute special rates' Minimum stay is 5 nights.